Roll-up, roll-up! HEXUS, courtesy of be quiet!, is giving five lucky readers the chance to win some goodies. 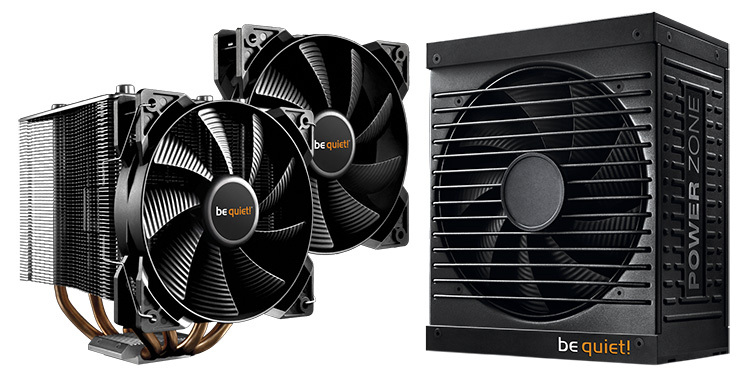 We've got PSUs, CPU coolers and fans just waiting to be won, so check out the prizes and then claim your free entry by answering the simple question at the bottom of the page. And that's not all! In addition to these three awesome bundles, we'll also be handing out be quiet! 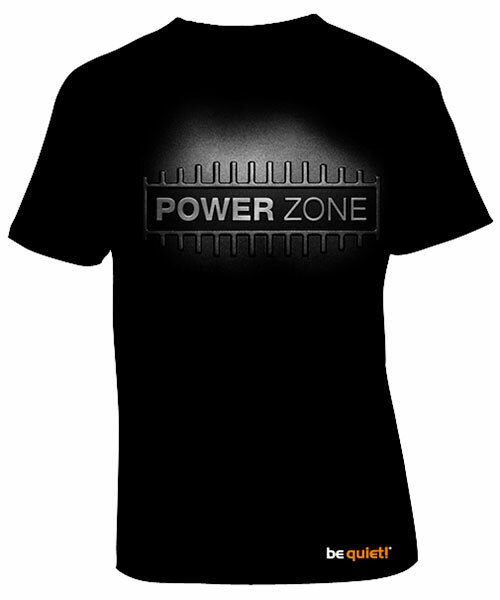 Power Zone t-shirts to our fourth and fifth winners! There are lots of prizes up for grabs, so what are you waiting for? Answer the following simple question to be in with a chance of winning - and don't forget, you can also claim a free second entry on Facebook! Hint: You can find the correct answer at BeQuiet.com. The prize draw is open globally to HEXUS readers aged 12 years or over. The competition winner will be picked at random from all eligible entries that arrive by midnight of the closing date, October 22, 2013. The winners will be notified via email by November 1, 2013. The winner must claim their prize within 14 working days of the promoter sending notification. If the prize is unclaimed after this time, HEXUS reserves the right to offer the unclaimed prize to a substitute winner selected in accordance with these rules. 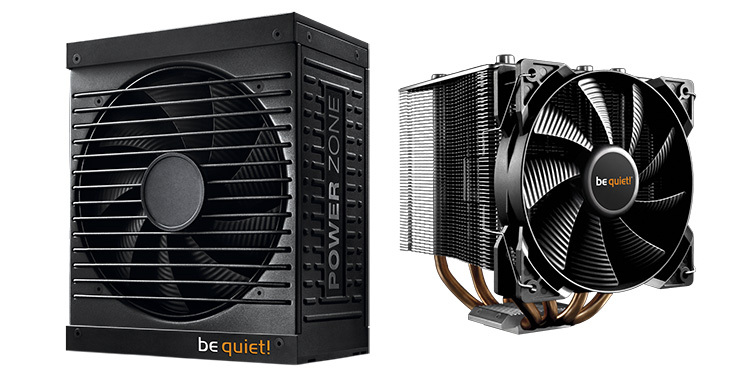 The first prize is a Power Zone 1000W power supply, a Shadow Rock 2 CPU cooler and a Pure Wings 2 120mm fan. 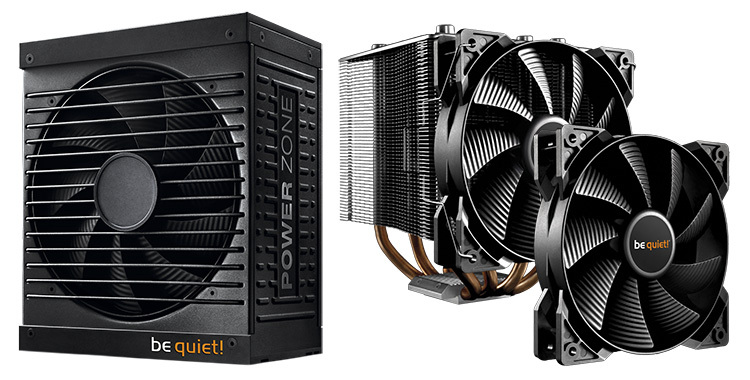 The second prize is a Power Zone 850W power supply, a Shadow Rock 2 CPU cooler and a Pure Wings 2 120mm fan. The third prize is a Power Zone 750W power supply and a Shadow Rock 2 CPU cooler. I like be quiet! PSU's. Been very happy with my 680W StraightPower units.